Fan Shizhong, a famous designer in China. Chairman and Founder of Fanshizhong Creative Industries Group Co., Ltd. Design Directors of three companies. 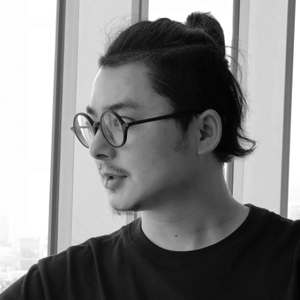 He boarded Forbes's top30 Chinese top designers’ list. He was named as "China's most promising designer" by American Forbes magazine. Excellent designer of the year of 2017 (China's highest design award - Red Star award). China young designer of the year of 2017. Chief designer of Magnetic levitation travel special train of Zhangjiajie national forest park in China. Fan Shizhong has won more than 100 international design awards, including: Red dot Award(seven times）, IF Award(five times）, IDEA Award American(twice), Core77 Design Award American(twice), China's highest Award for innovation design - Red Star Award(five times), Grand prize and Gold Winner of K-Design Award Korean, Golden Point Award(four times), A' Design Award Italian(three times), Asian design Prize - Gold Winner, Dyson design Award British, The most successful design awards for two of 2017 , Liteon Innovation Award(three times), Special Award of Lotus Prize, The full prize of the Channel Cup International Design Competition, etc. In 2017, He represented China to join the Global Research Achievements Exhibition in Dubai.